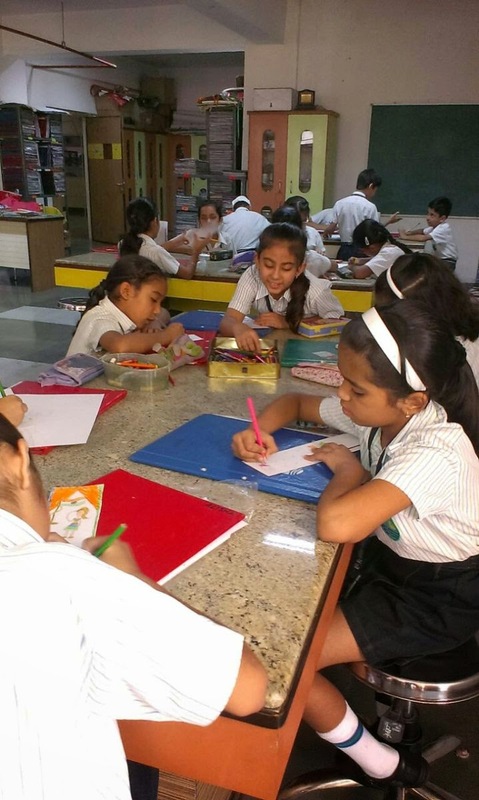 The Millennium School is committed to nurture the inherent potential and talent of each child and create lifelong learners, who will be the leaders of tomorrow. 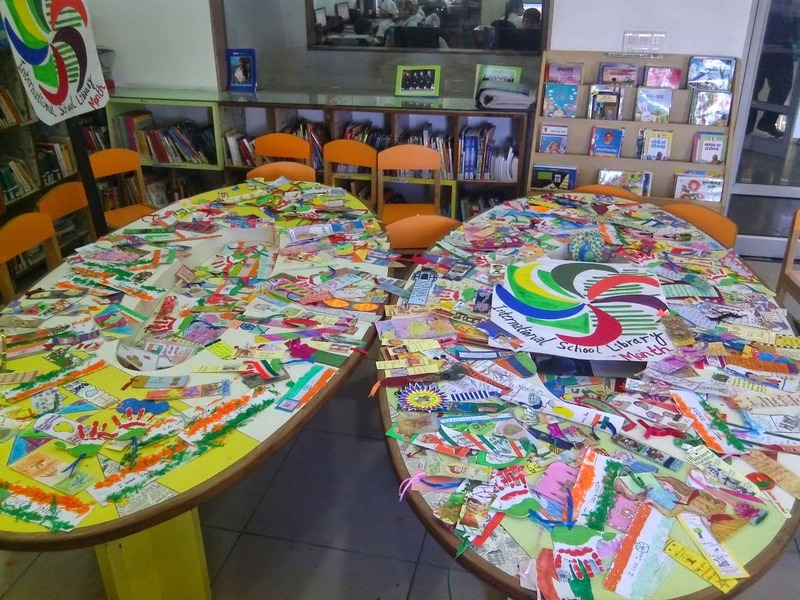 With parents as our partners, we aspire to create global citizens who are innovative and have a strong sense of values. 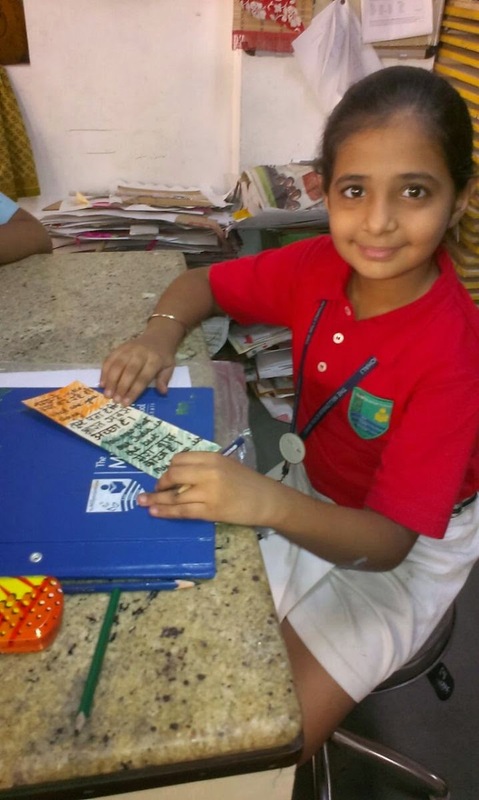 TMS MOHALI WELCOMES YOU All ! 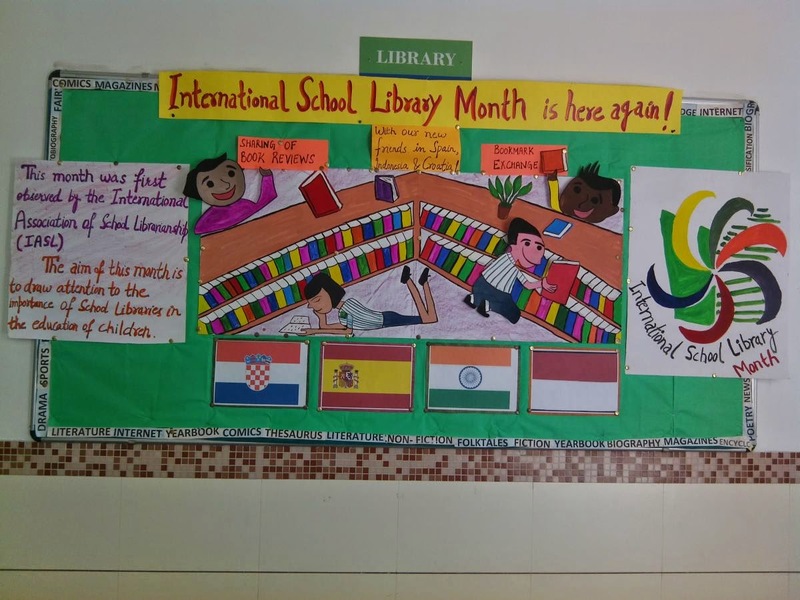 The Millennium School, Mohali celebrates the ‘International School Library Month’ every year. 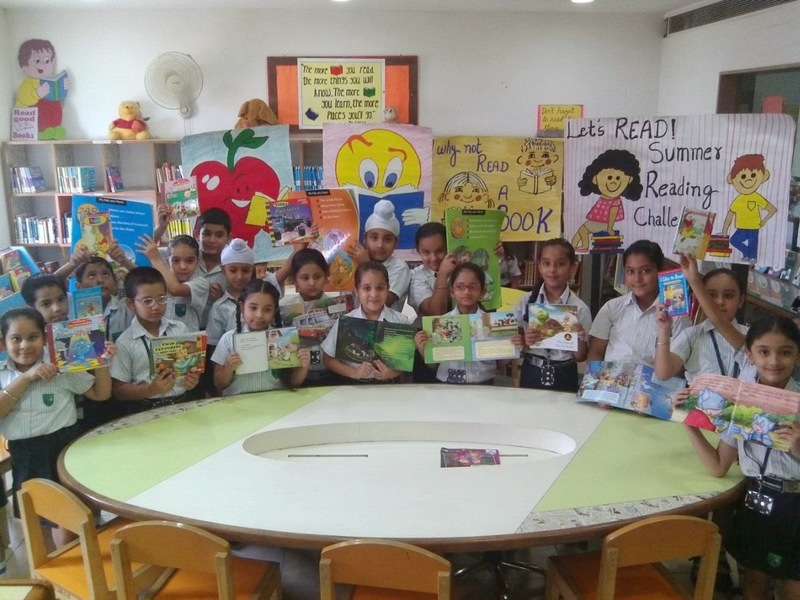 The event had a great start with an array of activities related to books and reading. 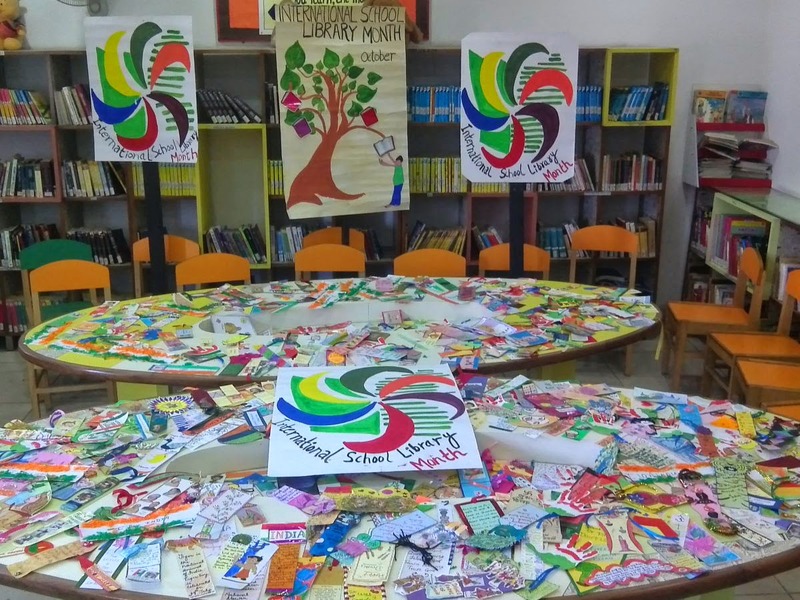 The school Library was decorated on the theme ‘ISLM’. 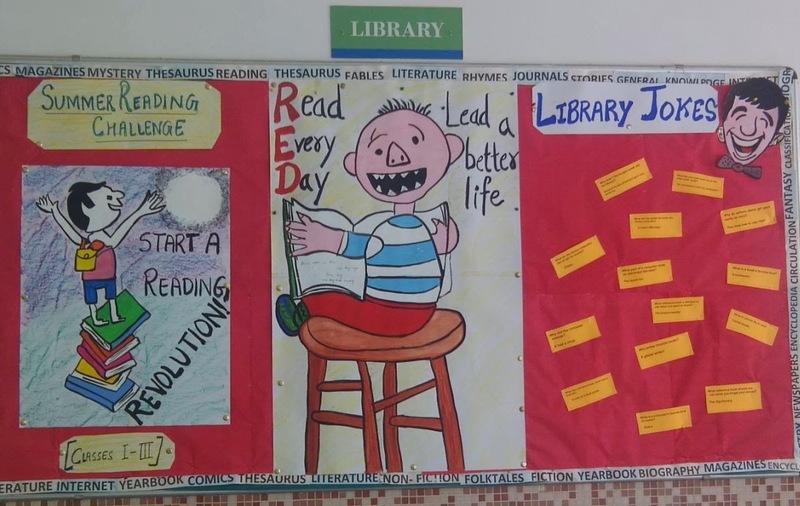 The students at each level took part in the library quizzes enthusiastically. 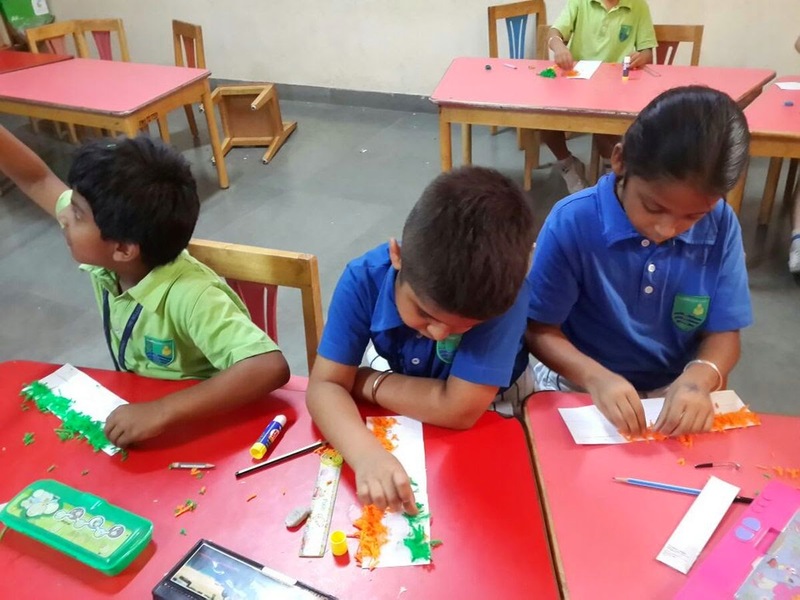 The quizzes were conducted via audio visual tools on selected popular children’s books. 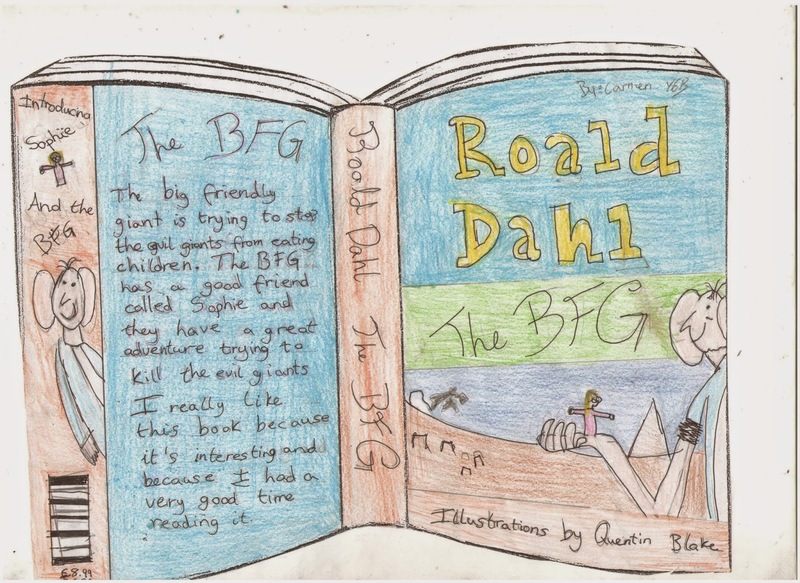 The students entered the ‘scrumptious’ world of Roald Dahl and celebrated the 50th anniversary of his most popular book ‘Charlie and the Chocolate Factory’. 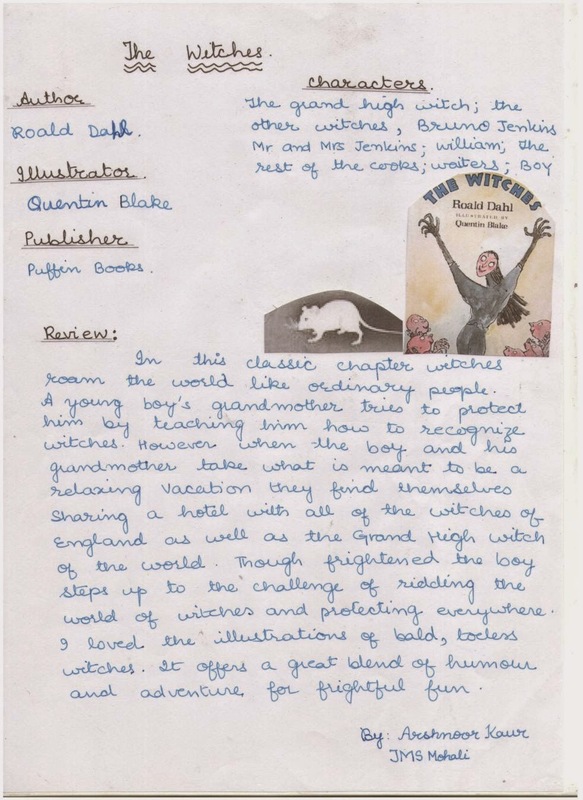 The students read his books and exchanged their book reviews with ‘Medan International School’, Indonesia via e mail. 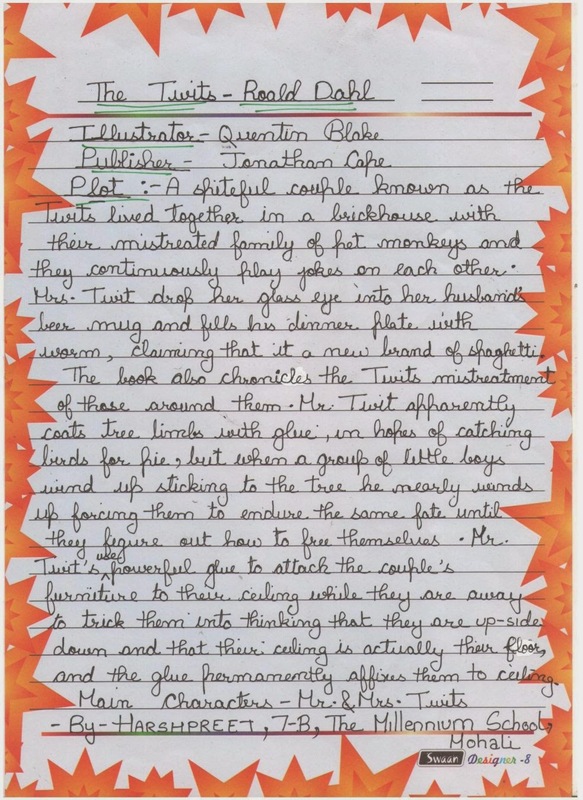 The primary level students participated in the quiz on the books of Enid Blyton. 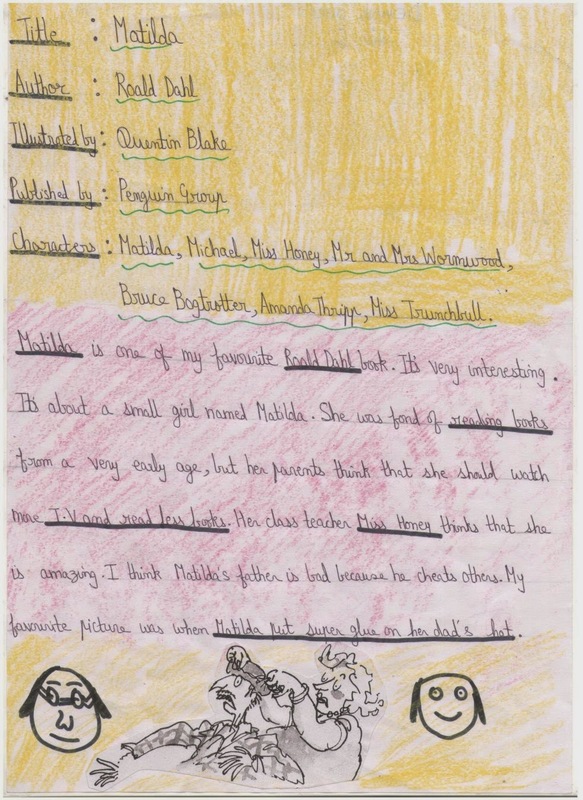 The students really enjoy reading her books on adventures and mystery. 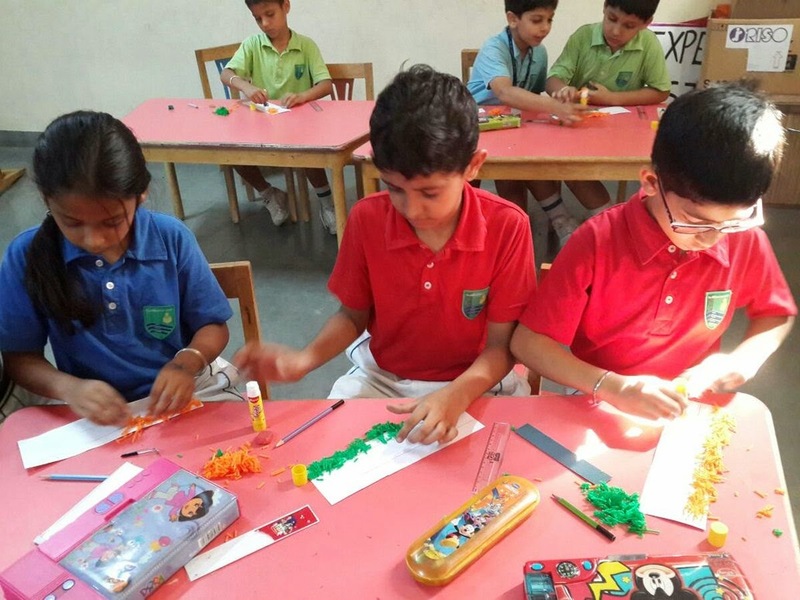 The junior students took a journey to an enchanting world of fairies, elves, goblins, pixies, etc. 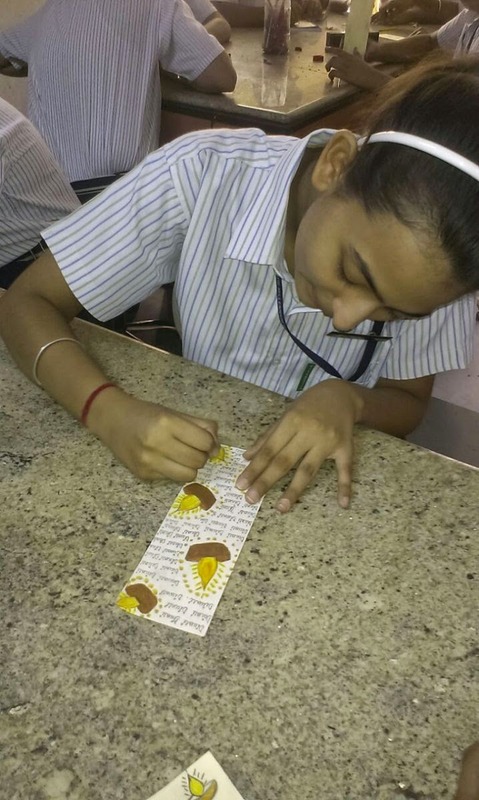 The winners were felicitated with medals, certificates, fairy tale masks and royal crowns. 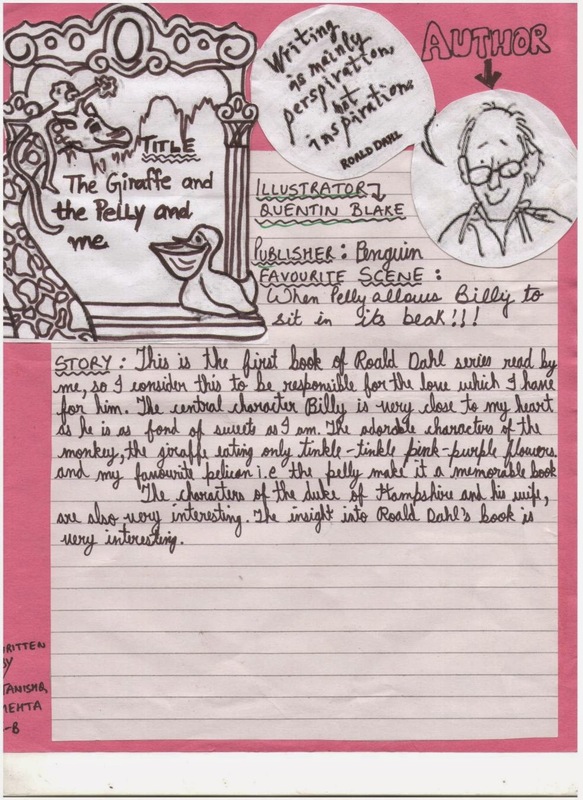 Besides Bookmarks, the students of TMS Mohali also wrote book reviews on their favourite author, Roald Dahl. 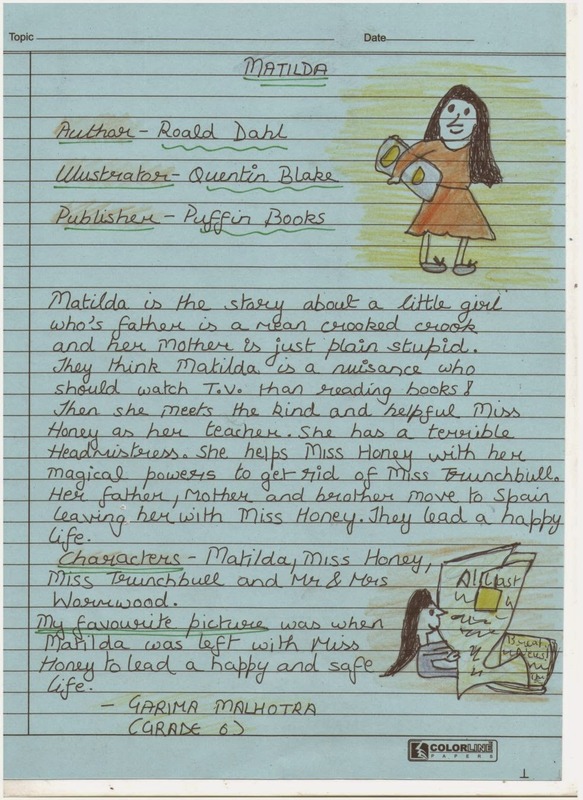 The book reviews were exchanged with the schools in Spain and Indonesia via mail and school Blog. 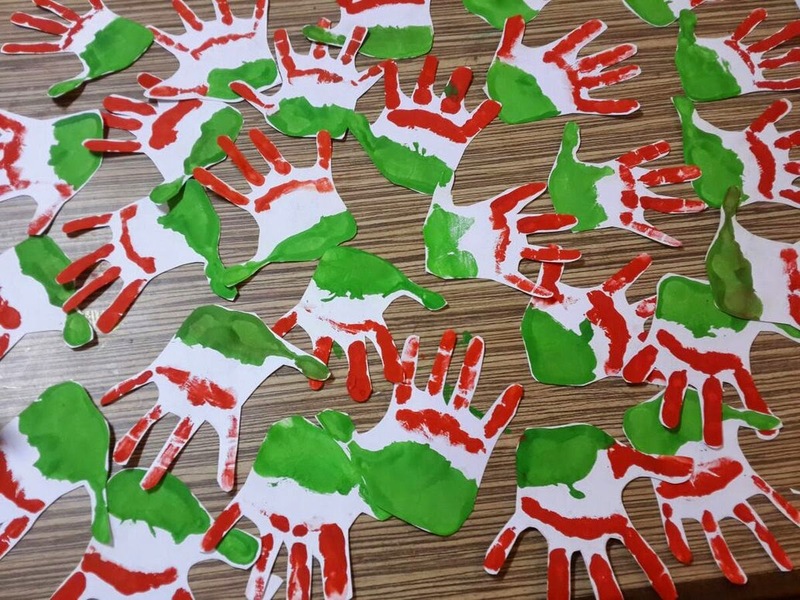 The students really enjoyed this activity and it also helped them to understand the reading tastes of the students of the foreign countries. 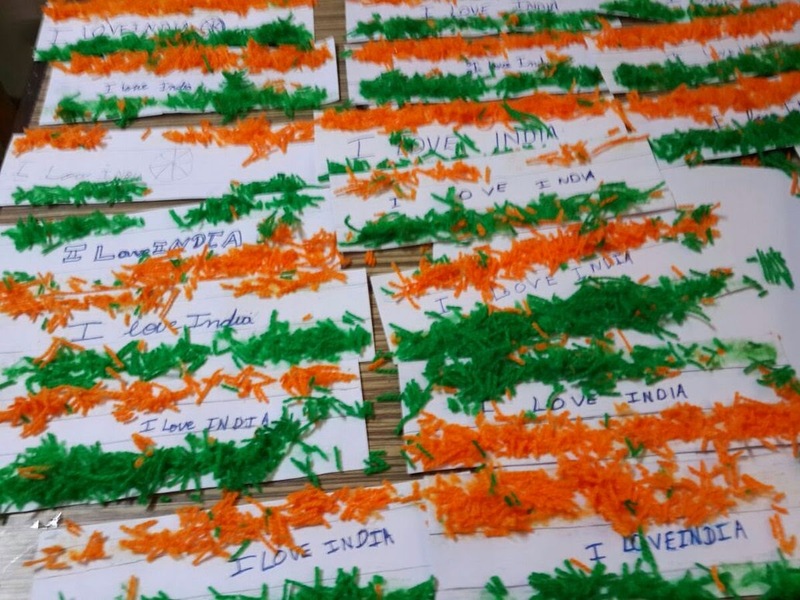 Skype Project: -The students also interacted on Skype with a school in Indonesia and also in Spain. 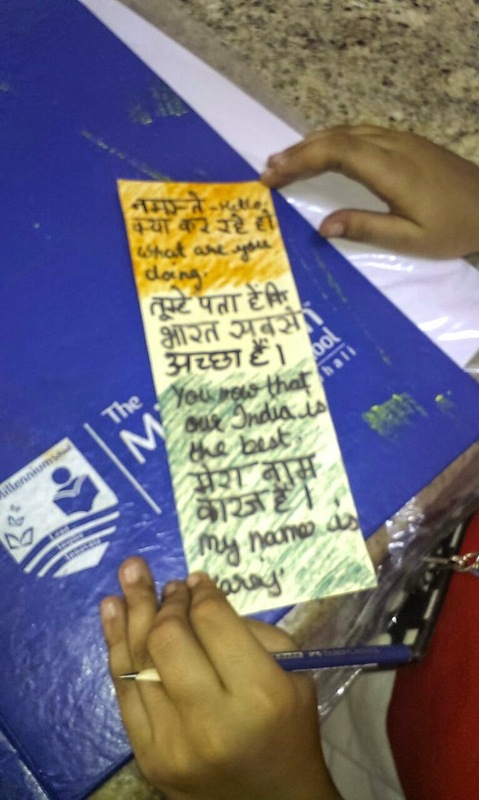 The students were really excited about this project as they made new friends across the world. 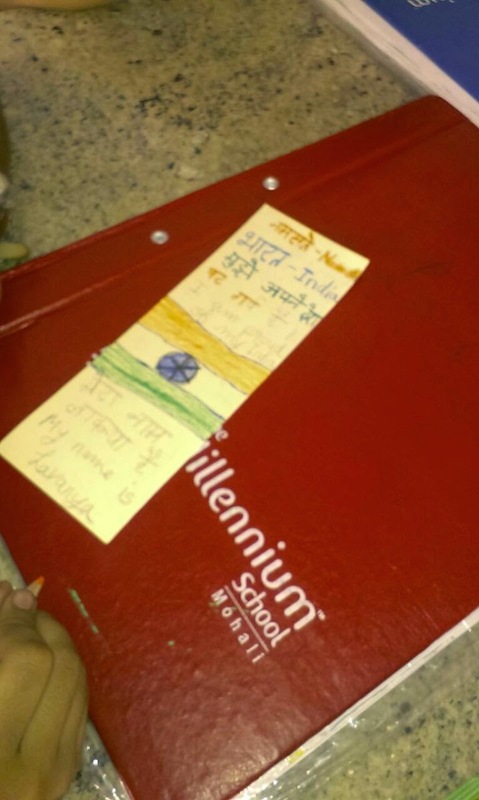 The students shared a bagful of information on their respective countries, currency, language, national symbols, festivals, traditions, monuments, books, etc. 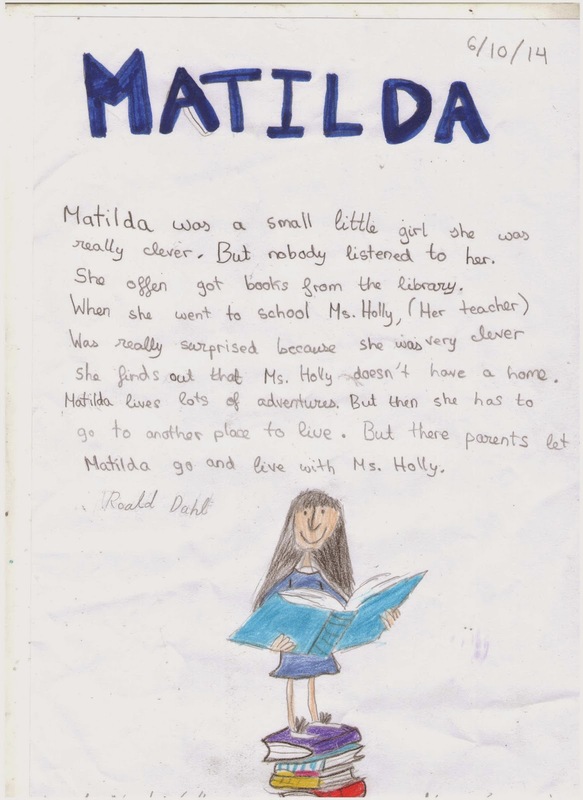 This book tells the story of Charlie who is poor. 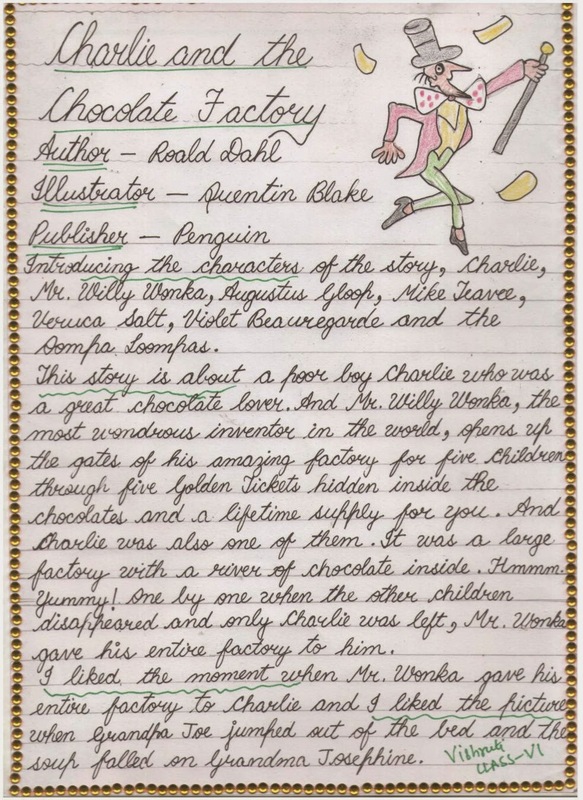 His father works on a toothbrush factory and only got 10C but he got / found a Golden ticket and saw what’s inside the chocolate factory. 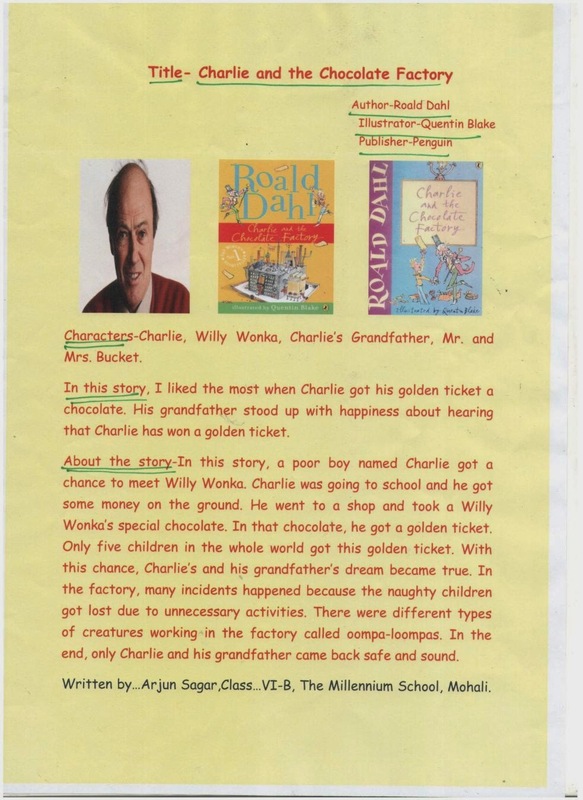 The topic: Charlie and the chocolate factory, he will reveal the secrets inside Willy Wonka Chocolate Factory. 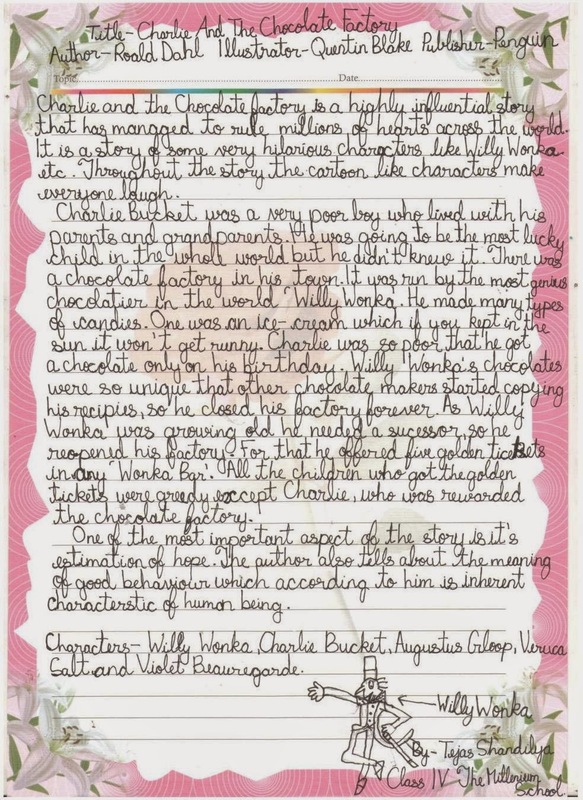 The storyline: Charlie got a golden ticket and he is Lucky. 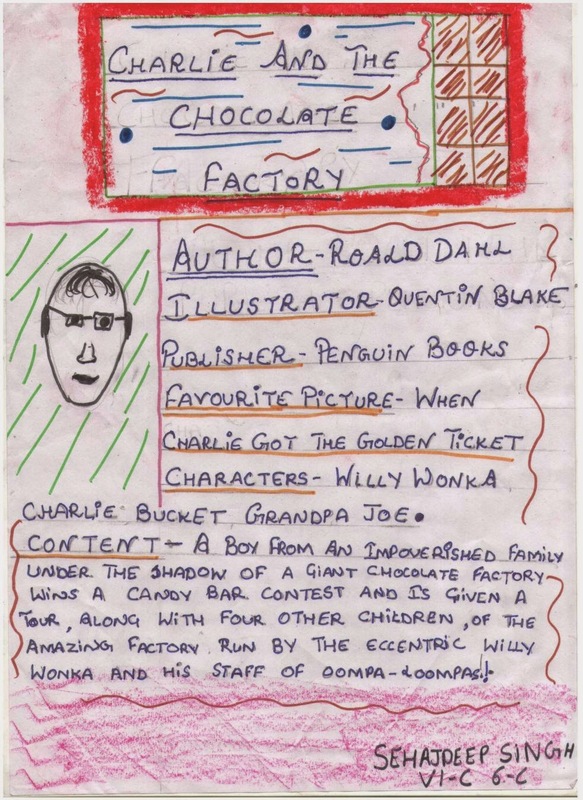 Characters: Charlie Bucket, Augustus Gloop, Mr Willy Wonka, Mike Teavee. The Layout: it is nice, the writing sizes just right for reading. 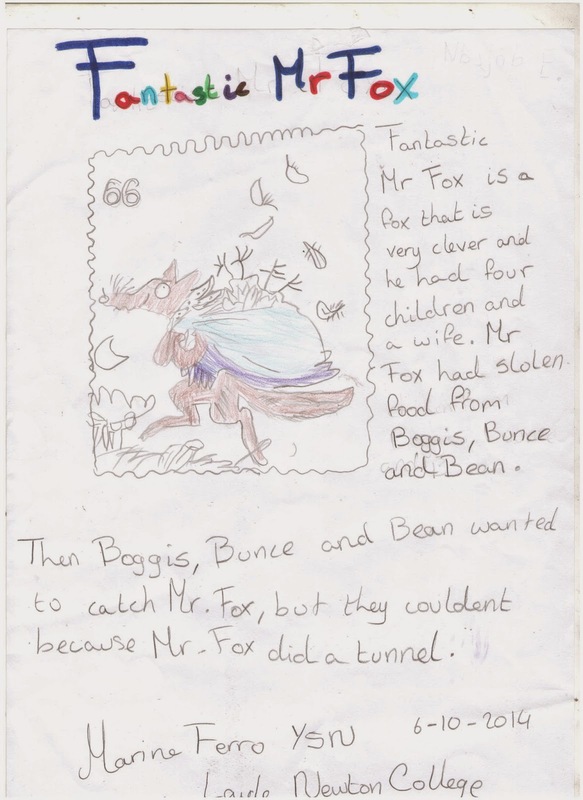 The pictures: the pictures could illustrate the story. One of my favorite is the picture of Charlie and Willy Wonka shaking hands while Charlie holding the golden ticket. What I like the most about this book was their trip to the chocolate factory when Charlie got a golden ticket. 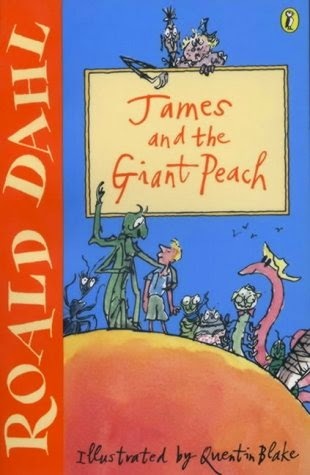 This book tells the story of James moving to his mean aunty’s house then he found a giant peach and inside he see many friendly insects and they go on an adventure with the peach. The topic: James went on an adventure with a bunch of friendly insects and they were travelling in the peach. 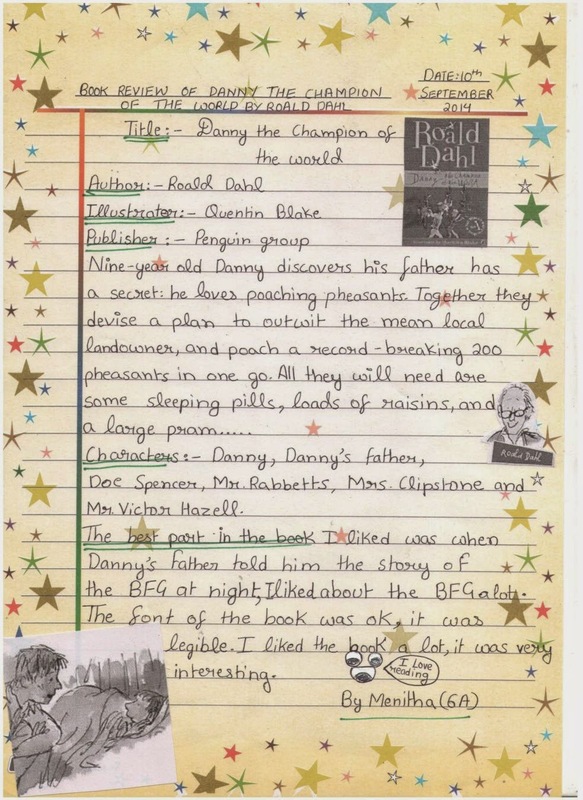 The storyline: James went flying in the giant peach. He tied silk to a thousand seagulls. He landed in the empire state building. 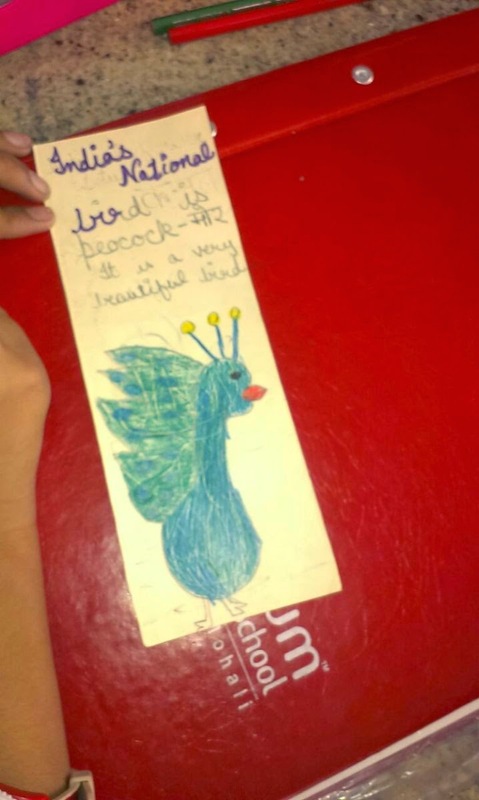 James introduced the insects to the world and they become famous. Characters: James, Aunt Spiker, Aunt Sponge, Old-Green-Grashopper, Centipede, Miss Spider, glow worm, earthworm, and Ladybug. The Layout: is fine, it leaves just a little space. 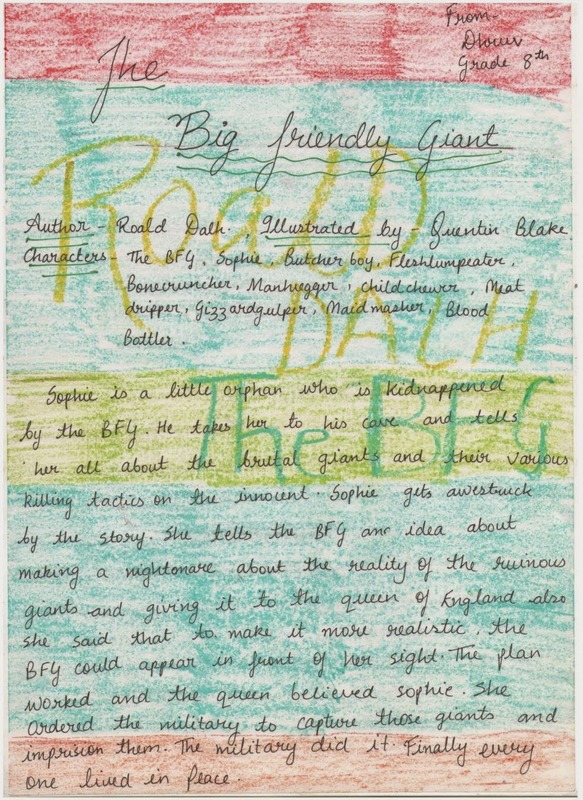 The pictures: are really cool, I think Quentin Blake is a cool illustrator. What I like the most about this book was they use peach and I really like peach because it is sweet. 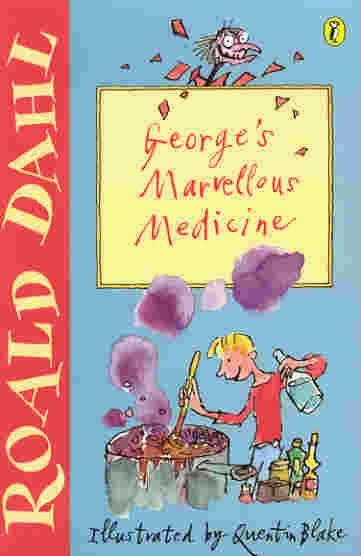 This book tells the story of George made a medicine for his Grandma and the last part is that when he gave her the medicine his grandma shrink and was gone. The topic: George making medicines. 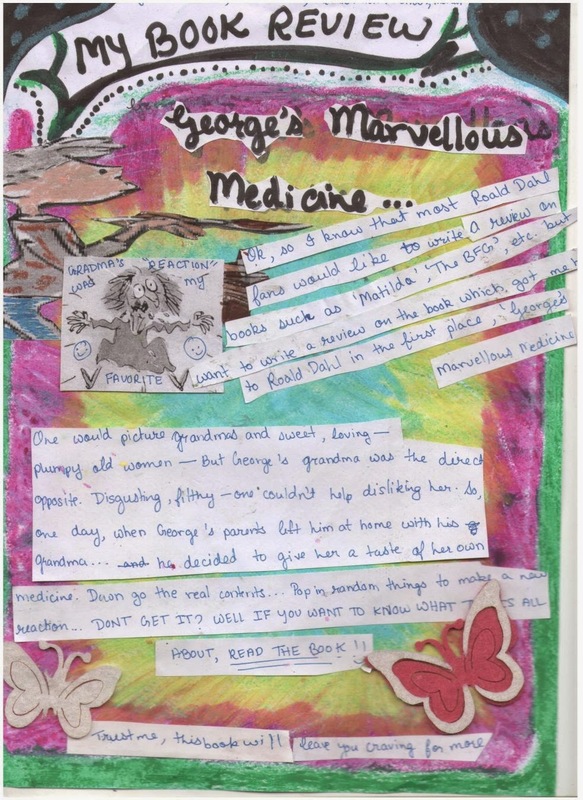 The storyline: George was trying to make a medicine for his grandma. His grandma was shrinking and disappeared forever. 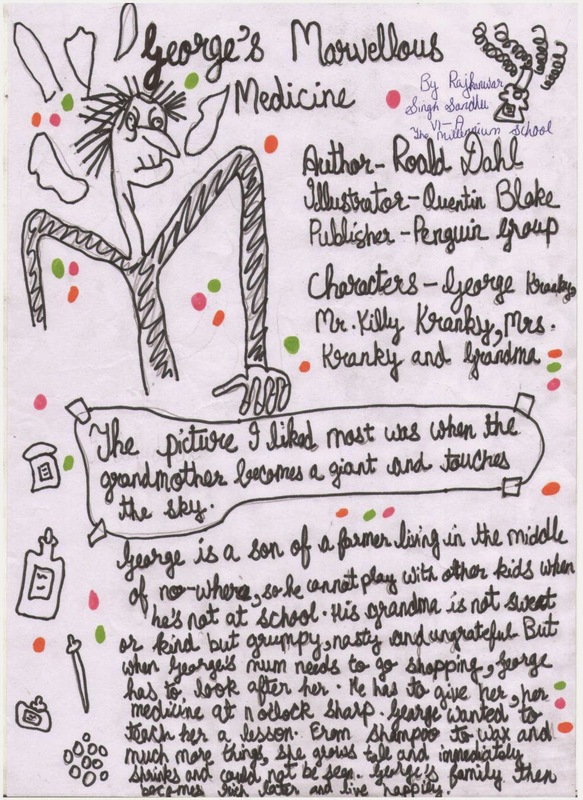 Characters: George, grandma, dad, mom, chicken, sheep, roaster, pig. 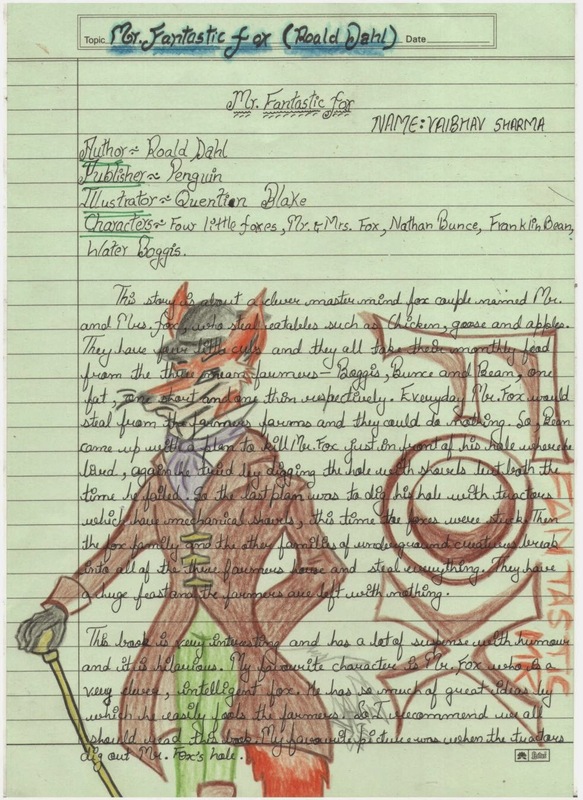 The Layout: is nice, the writing sizes are big, good for reading. The pictures: are many and good t o illustrate the story, but I like more if there are more pictures. 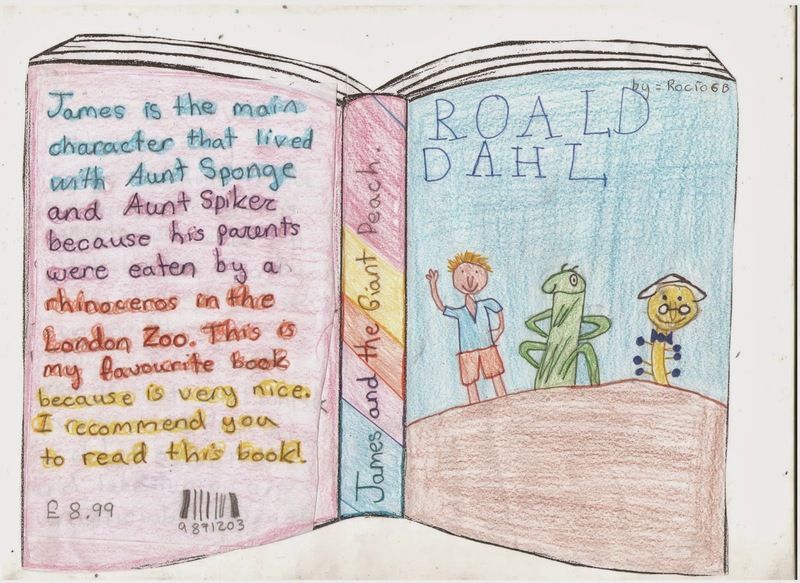 What I like the most about this book was the time when his grandma shrink and gone. Charlie the Chocolate Factory tells the story of Charlie went to the factory and surprise because there was so much chocolate. 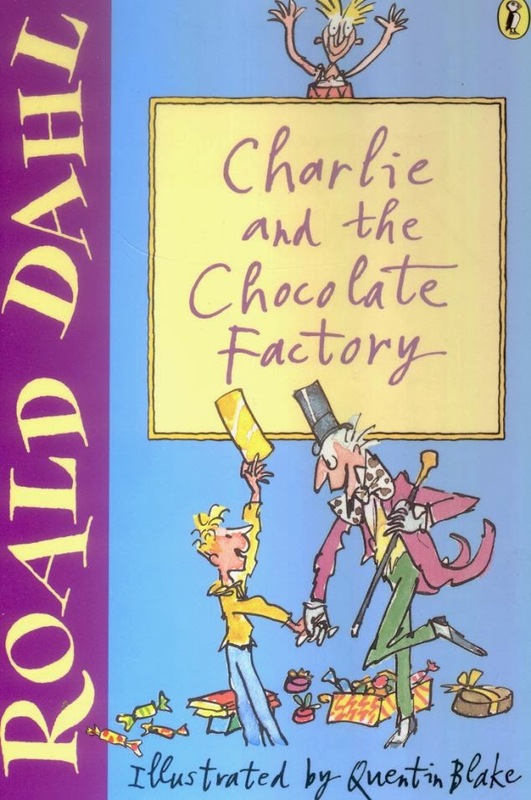 The topic: is about chocolate and many people will read this book because many people like chocolate. The storyline: Five people got the ticket but only Charlie survived and win the ticket. Charlie is not poor anymore because of the chocolate factory. Characters: Charlie Bucket, Augustus Gloop, Mr Willy Wonka, Mike, Veruca, Violet, Oompa Loompas. The Layout: the pictures are not big enough and sometimes made me feel headache. The pictures: are nice but need more pictures. What I like the most about this book was it is about the chocolate and there was a lot of chocolate and looks like a river flow. 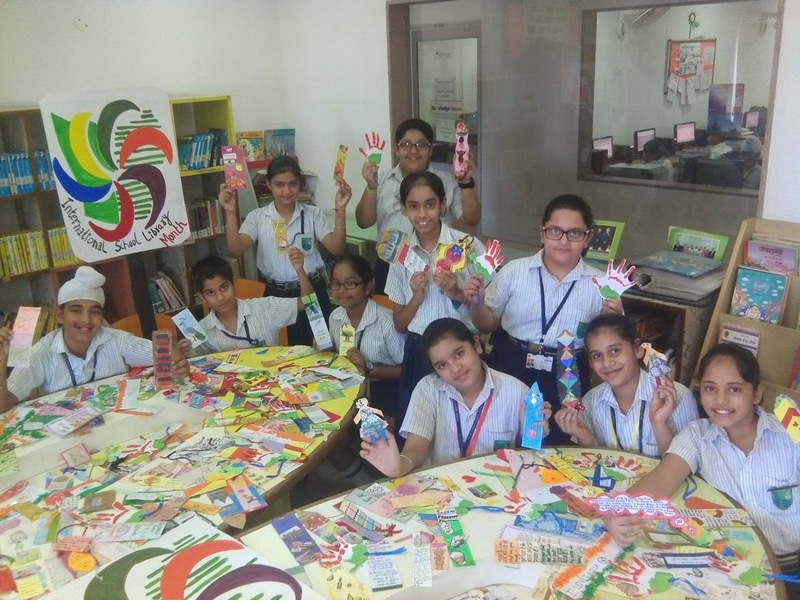 The students at ‘The Millennium School, Mohali’ celebrated the ‘Roald Dahl Day’, the well-known children’s author and poet. 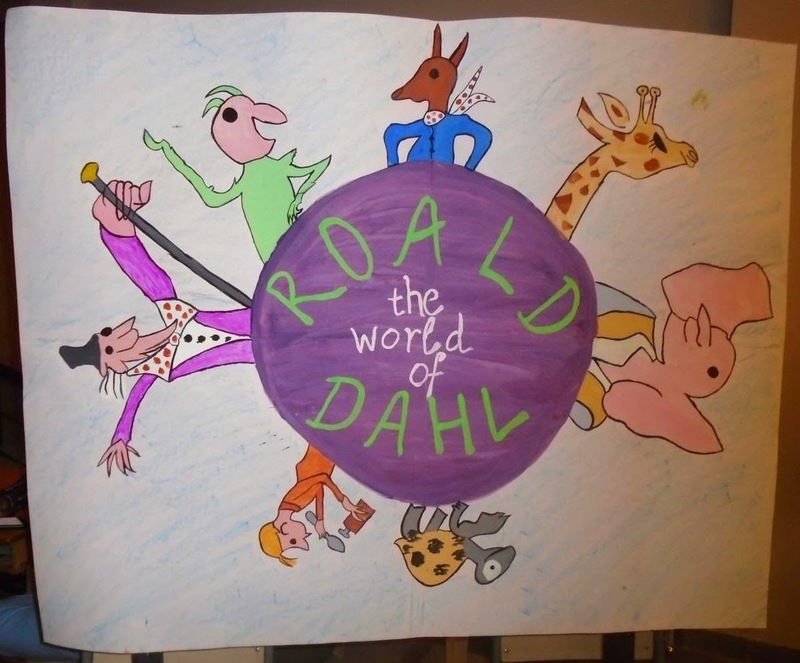 Born in Wales to Norwegian parents, Dahl served in the Royal Air Force during World War II, in which he became a flying ace and intelligence officer, rising to the rank of acting wing commander. He rose to prominence in the 1940s with works for both children and adults and became one of the world's best-selling authors. 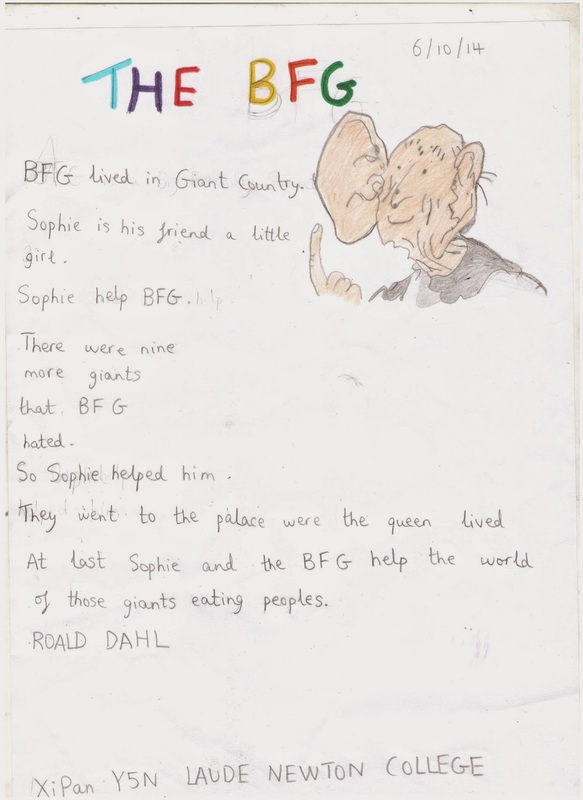 He has been referred to as "one of the greatest storytellers for children of the 20th century". 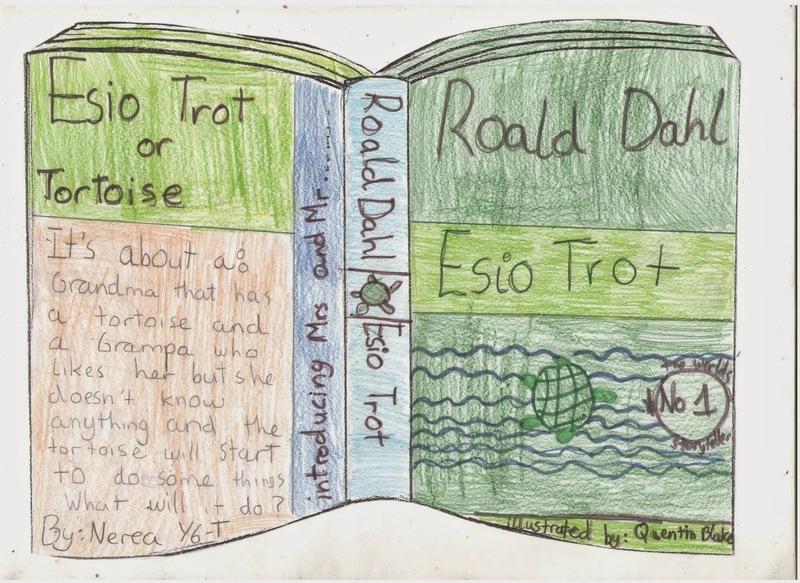 The students entered the world of Roald Dahl by participating in an ‘Inter House Library Quiz’ based on his books. 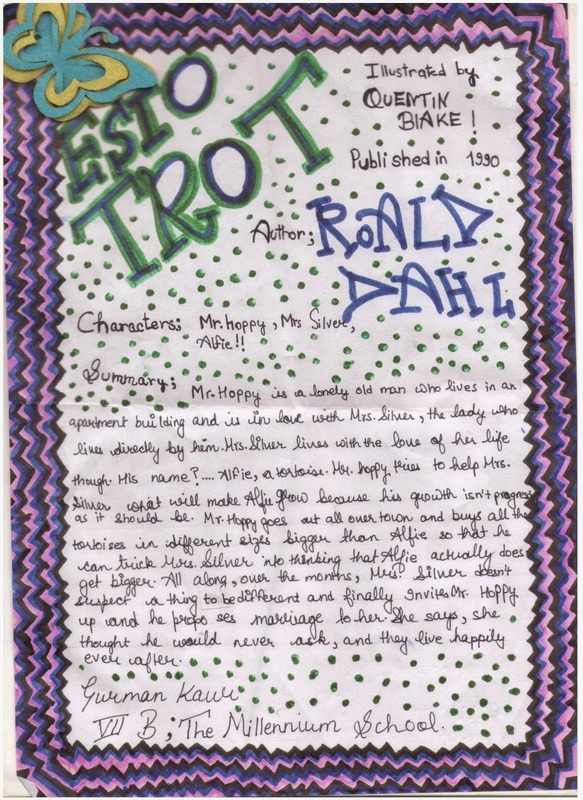 The auditorium was decorated with the display of Roald Dahl’s characters i.e. 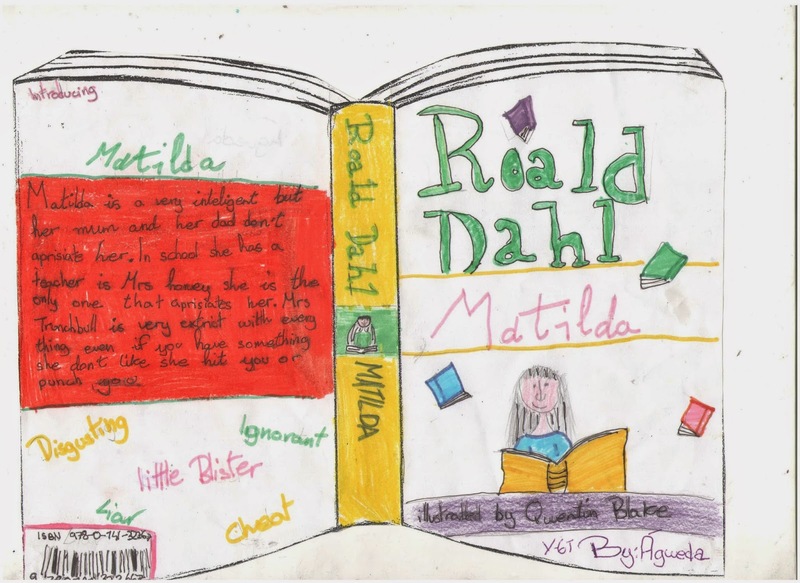 Matilda, The Witches, The BFG, Mr. Hoppy, Willy Wonka, Fantastic Mr. Fox and many more. 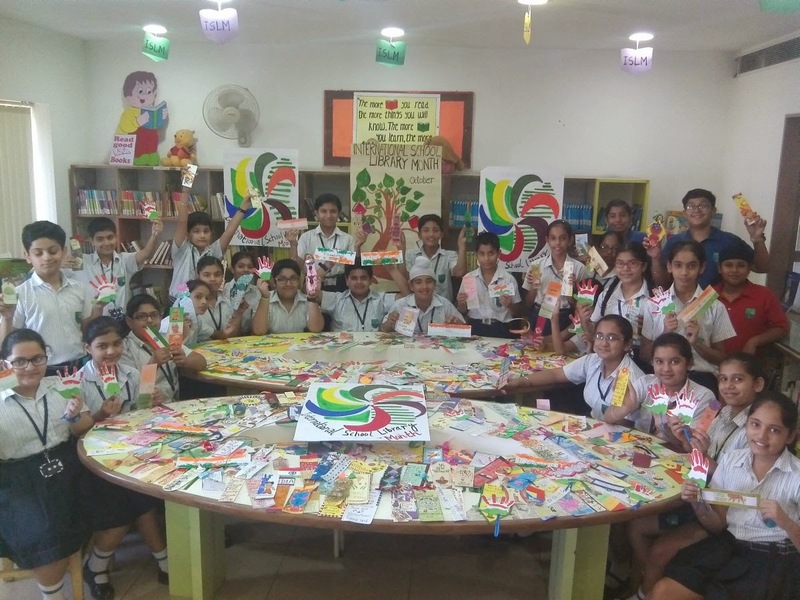 The students also participated in an exchange program with ‘Medan International School, Indonesia’. 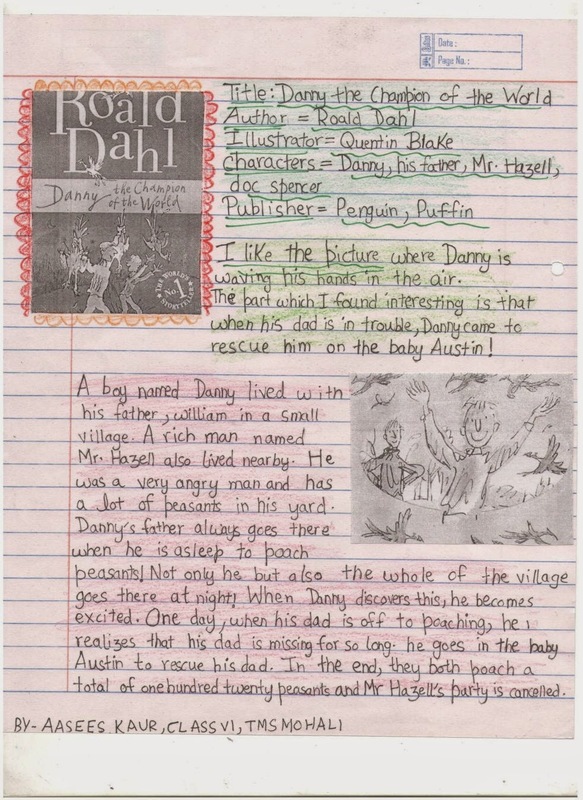 The students read Roald Dahl’s books and shared their reviews with the school in Medan and vice versa. 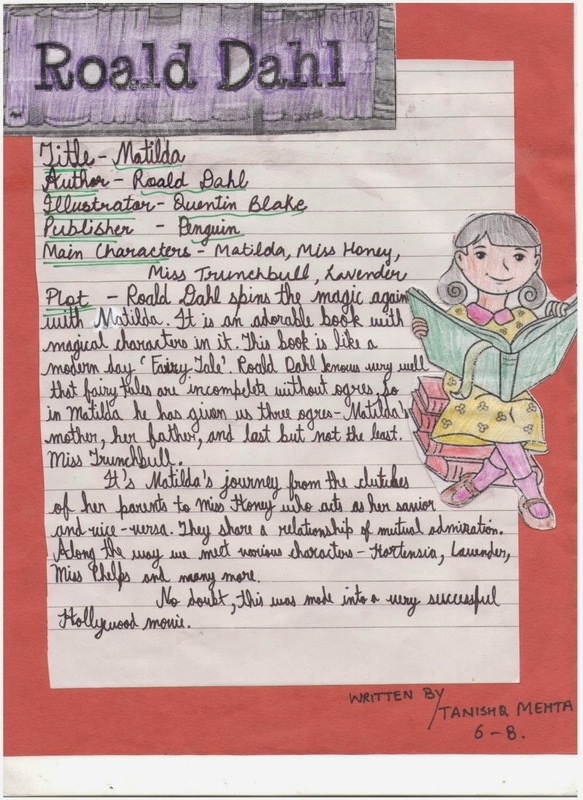 The students also exchanged the book reports with their ISLM partner school ‘LAUDE Newton College’ in Spain. 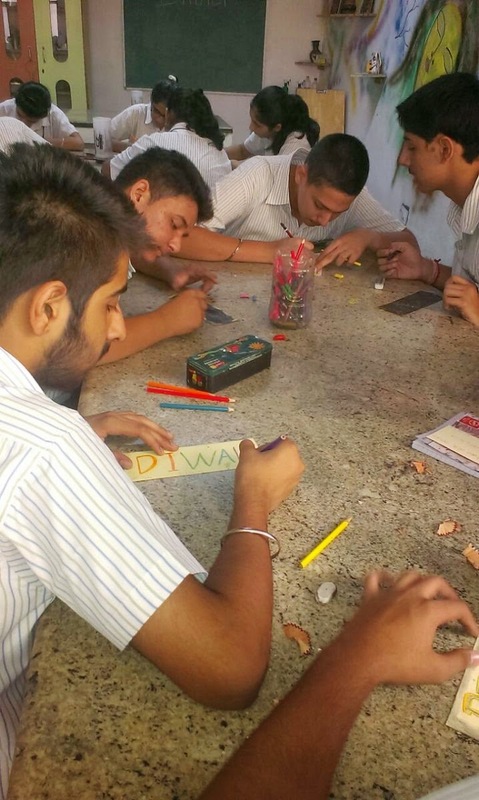 Everyone had a field day with a great deal of fun by learning more about him and his work.